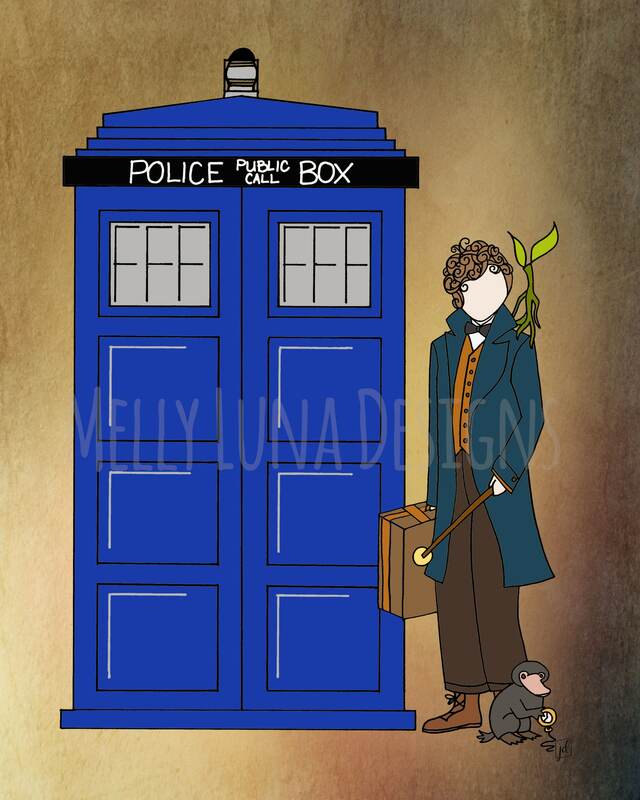 Original artwork inspired by Fantastic Beasts and Dr. Who. Time travel meets magical beings....LOVE. 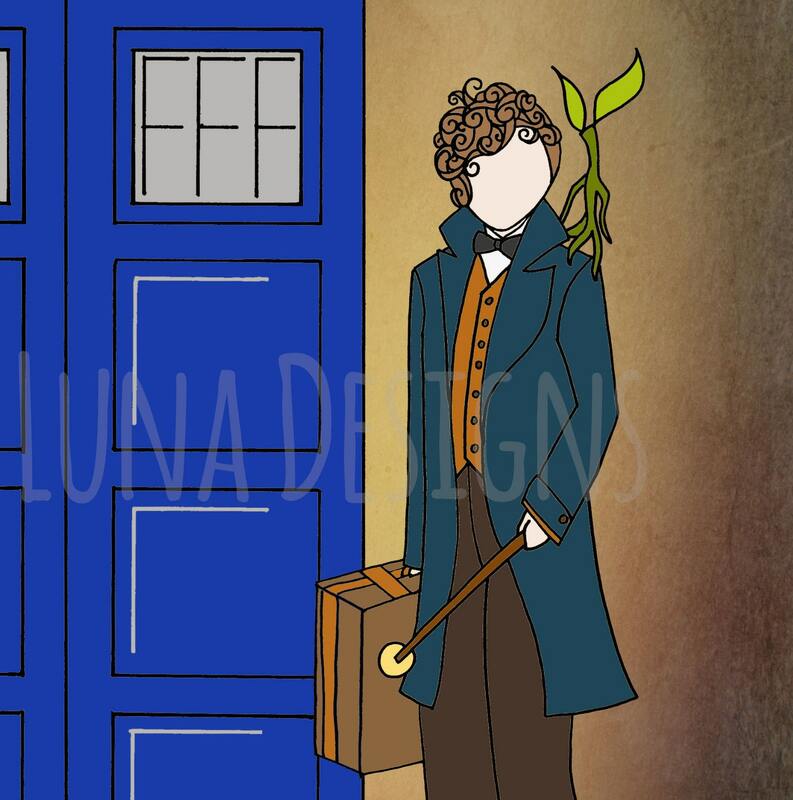 Mr. Scamander and a couple of his beasts - did they just pop out of the Tardis? Or just come across it?